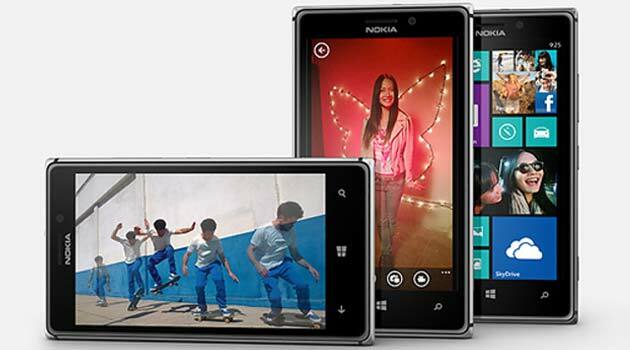 Nokia has launched its biggest-ever smartphone Lumia 625 as well as the new flagship handset Lumia 925 in India. Nokia, which is lagging behind rivals like Apple and Samsung in the smartphone market, has priced the Lumia 625 at Rs 19,999, while the Lumia 925 bears a price tag of Rs 33,499. The company also unveiled its Coloud range of headphones in the country, though it has not revealed pricing of the same yet. The new Lumia 625 features a 4.7-inch screen, the biggest for a Lumia handset, but is a mid-range device. It has a LCD display with 800x480p resolution and 201ppi pixel density. The screen features the Super Sensitive Touch technology that allows users to use it while wearing gloves. Under the hood is a 1.2GHz dual-core processor, 512MB RAM and Windows Phone 8 operating system. The company has included 8GB internal storage in the phone, along with microSD support up to 64GB. Nokia is also offering movies worth Rs 4,275 with Lumia 625 smartphone and access to 10GB of free data over Wi-Fi at McDonalds, Subway and Cafe Coffee Day outlets. The company is offering 3GB free 3G data for a period of three months on Tata Docomo. Lumia 925, launched in May this year, is a flagship device and the only Nokia smartphone with an aluminium body. 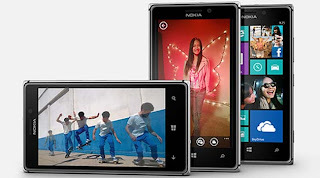 Lumia 925 has a 4.5-inch PureMotion HD+ screen with ClearBlack display technology and 1280x768p resolution. It is powered by a dual-core 1GHz processor and has 1GB RAM, 16GB internal storage and 7GB free SkyDrive storage. Connectivity options in the phone include 2G, 3G, Wi-Fi, Bluetooth 3.0, microUSB 2.0, NFC and wireless charging (via removable back panel). It has an 8MP Carl Zeiss camera with dual-LED flash and a 1.3MP secondary unit. This phone appeared on Nokia India's website in May, accompanied by a price cut for Lumia 920, the current top model for the company in India. Sources have earlier told TOI that the launch of Lumia 1020, which was unveiled recently and has a 41MP PureView camera, is still far away. Though they did not give a time period for its launch in the country, it is likely to hit the market in September or October.